Did you know that you can vacation in an authentic medieval castle? We’re talking a castle worthy of royalty. Does residing in a castle prompt images of Sleeping Beauty, the Royal Family, or even Harry Potter? Luxurious castles, dating back centuries, are available for your next five-star vacation. It’s just a matter of matching the right castle to your personal wishes. Discover castles with legendary stories, interiors worthy of a king and queen, and grounds that make you feel like you’re stepping into a real-life fairy tale. Whether your dream involves Scotland, Ireland, or Italy, there’s a castle waiting to treat you like a Lord and Lady. It’s easy to namedrop once you’ve stayed at Skibo Castle. 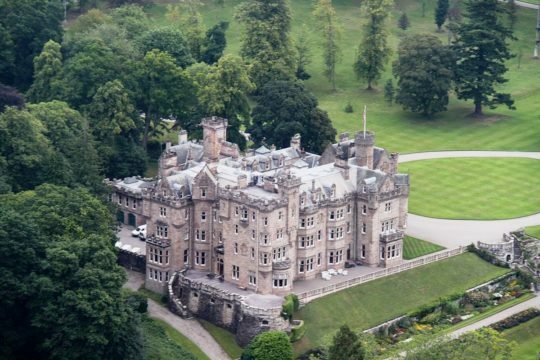 Andrew Carnegie transformed this 13th century estate into a residence he called, “Heaven on Earth.” Since Carnegie infused his millions into Skibo’s 8,000-acres of Scottish Highlands, this Edwardian castle has played host to Ecclesiastic Bishops, Sean Connery, and Madonna’s wedding ceremony. Diversions abound at this castle overlooking beautiful Lake Louise. When you’re not luxuriating in one of Skibo’s 21 guest rooms, you can indulge in horseback riding, spa treatments, boating excursions, or golf on the 18-hole Carnegie Links. Skibo’s unique atmosphere blends ancient Scottish history with today’s latest technology. From the moment you enter the castle’s ornate great hall, you’ll find this land of heather and hill to be an unforgettable vacation experience. 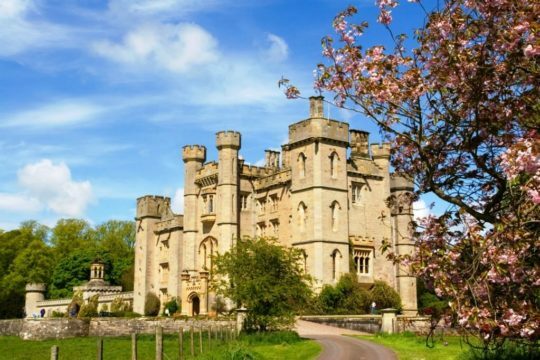 If getting married in a castle is your romantic ideal, then reserve Duns Castle, one of Scotland’s preeminent sites for nuptials. With 12 bedrooms and a tower dating back to the 1300s, this sublimely kept residence is where romance and history become one. Owned and operated by the Hay family since 1696, Duns Castle burst on the hospitality scene this year when Disney offered a free stay as part of their Beauty and the Beast movie promotion. The fortress is considered the closest to a fairy tale existence in all of Scotland. 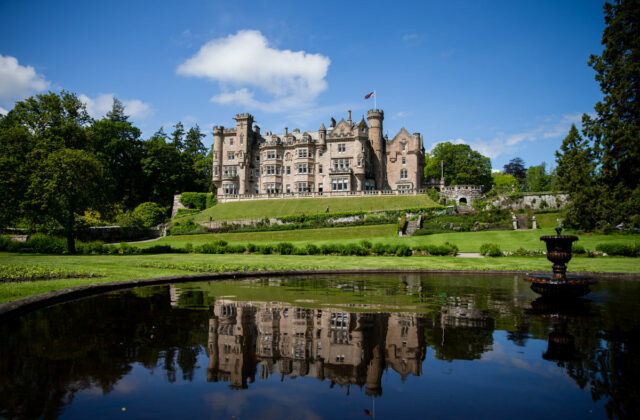 Voted a finalist for Scotland’s Romantic Wedding Venue of the Year, the 1200-acre Duns Castle surroundings feature stunning woodlands, gardens, and two man-made lakes. The Duns area scenery is so colorful that the castle is a favored spot for art workshops throughout the year. 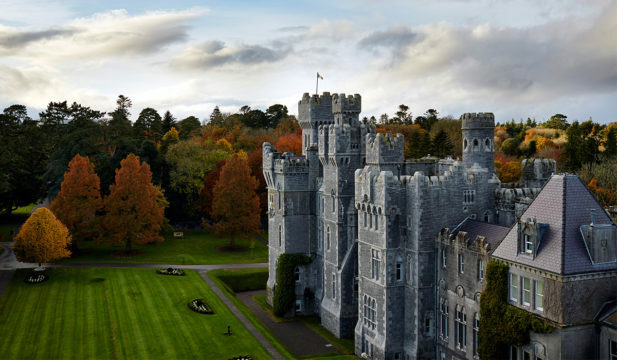 The most award-winning castle in all of Ireland is the Ashford Castle on the shores of Lough Corrib. Dating back to 1228, this 83-room palace is situated on 350 acres of Irish woodland. John Lennon, Robin Williams, and Princess Grace have all vacationed at this five-star retreat that includes a stone gate, 1,350 chandeliers, and its own falconry school. This storied former home to the Guinness family was the scene of the 1951 movie Quiet Man starring John Wayne and Maureen O’Hara. After a recent $75 million restoration, Ashford now features a new 30-seat cinema, billiards room, cigar terrace, and a spa which offers Pure Flow Technology for optimizing blood flow. Ashford’s breathtaking landscape includes a Sunken Garden, a Velvet Garden, a Walled Garden, and a Terrace Walk. By Medieval standards, the pristine Inverlochy Castle is just a babe with a birthright dating back to 1863. 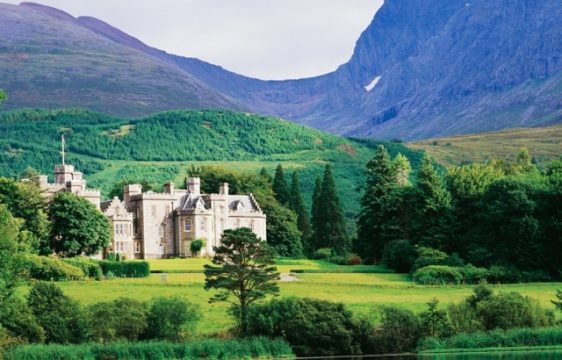 What the 17-room Inverlochy lacks in castle longevity, it makes up for in luxury. Inverlochy is home to exquisite culinary options, an award-winning wine list, and scenery so poignant that Queen Victoria wrote, “I never saw a lovelier or more romantic spot’. Inverlochy makes sure that getting to this castle seated amongst the foothills of Ben Nevis is a memorable vacation chapter. The castle will arrange for transport via Rolls Royce chauffeur, helicopter, or by rail in a Caledonian Sleeper Car. Inverlochy has played host to Elton John, Robert Redford, and Queen Noor. Dining is one of Inverlochy’s supreme attractions thanks to Albert and Michel Roux, their legendary father and son chef team. Inverlochy’s setting is a great place to work up an appetite, as the Ben Nevis area is Ireland’s top skiing locale. During the summer season, you’ll find golfing and whitewater rafting nearby. For a castle experience that is truly one-of-a-kind, consider Petroia Castle in the Umbria province of Italy. Dating back to the 1300s, this 13-room castle features rooms that catapult you back through the centuries. Each room features fresco ceilings, wooden beams, and stone arches. The 800-acres surrounding Petroia Castle include a 10-kilometer walking path that bridges the biblical towns of Assisi and Gubbio. For an Italian adventure you’ll never forget, go truffle hunting with local farmer Cesare and his mushroom sniffing dog Stella. 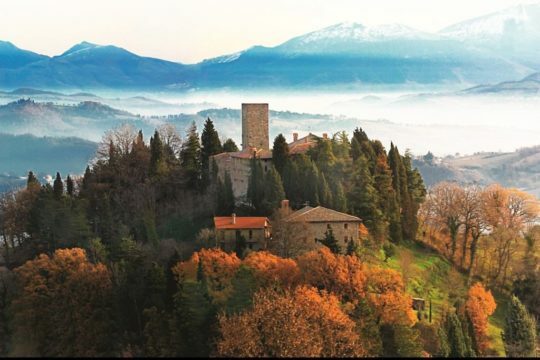 Castle Petroia features a fine dining Michelin Chef, rolling hills for horseback riding, and The Silence– a legendary quietness that permeates the Gubbio hillside. 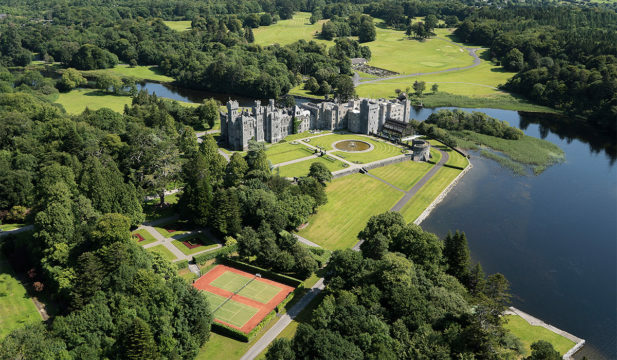 So whether you prefer to vacation in Scotland, Ireland, or Italy, you can expect royal once-in-a-lifetime experiences at Skibo, Duns, Ashford, Inverlochy, and Petroia castles. Tim Cotroneo is a freelance writer specializing in travel, business, and golf.